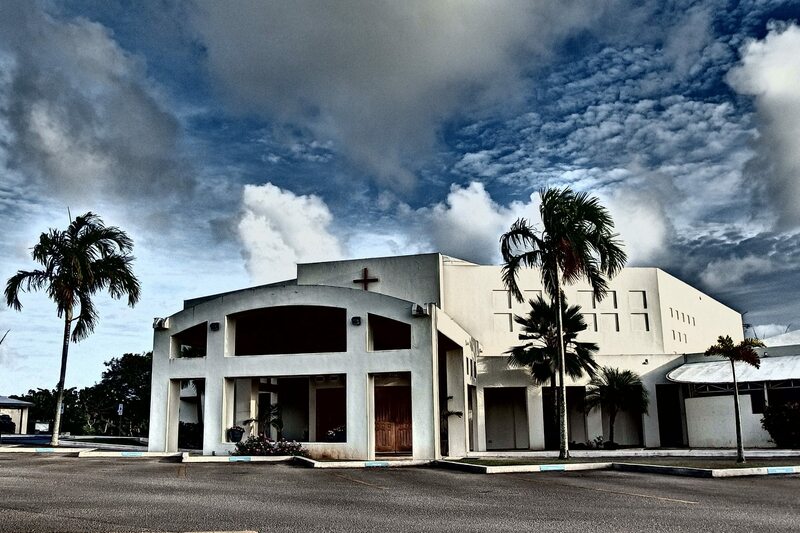 We invite you to join with us as we strive to develop a heart for God on the island of Guam. Harvest Baptist Church began in July of 1975 when a handful of people gathered for the first time on a front porch in Mangilao, Guam. Led by missionary pastor Bruce Wring, the church soon moved to its permanent location in Barrigada. Harvest Christian Academy began that fall with a small student body primarily targeting church members. Harvest Christian Academy now provides a complete college preparatory program for K3-12th grade and enrolls approximately 1,000 students each year. John Lewis became Pastor in 1979, and it was his desire that the church would grow to reflect the multiple nationalities and people groups found on the island. Over the years the church has developed into a thriving ministry of over 600 on Sunday mornings. The church shares the Gospel with Guam through ministries like Harvest Family Radio, Pacific Rim Christian Camp and the HeBrews Worldwide Café. The church also strives to reach the surrounding Micronesian Islands through the ministry of Harvest Baptist Bible College and across the world through missions outreach. Under the leadership of Lead Pastor Gary Walton, Harvest Baptist Church continues to look for ways to evangelize the lost, equip the soldiers of Christ, and edify the believer.